Welcome to the Mornington Peninsula, part of the traditional lands of the Boon Wurrung / Bunurong people of the Kulin Nation! This is a very special area — a truly ancient country. The local Boon Wurrung / Bunurong people, and their predecessors, have lived in this region for at least the last forty thousand years, and likely much longer. You respecting the natural environment, history and culture of the Mornington Peninsula area is incredibly important to the local Aboriginal people and their ancestors — and they have a right to ask this of you as the Traditional Owners of this area. The ocean, coastline, hills, springs, creeks, and beaches form a major part of their ongoing spiritual life and wellbeing, so please remember this during your time on the Mornington Peninsula and in its waters. As you are visiting this area today, you may want to consider that the indigenous Australian people developed one of the most sustainable civilisations the world has ever seen. Instead of having to continually expand, and develop new technologies for their civilisation to survive, their culture and civilisation fitted into the land around them and did this in such an effective way that little change was necessary for the tribes' ongoing existence for tens and tens of thousands of years. The Boon Wurrung / Bunurong people were coastal dwellers, hunter gatherers ranging on the land that covers the coast from the Werribee River in the north-west, down to Wilson's Promontory in the south-east, taking in the catchments of the Old Carrum swamp, Kooweerup swamp (the great swamp), Tarwin River and Westernport Bay, and including Mornington Peninsula, French and Phillip Islands. The Boon Wurrung / Bunurong people lived as all people of the Kulin nation lived, sustainably on the land for tens of thousands of years. People ate local animals, plants, fish and shellfish. They used boats, or canoes to frequent nearby islands. These canoes were made from bark and often were able to support a small fire in the middle for warmth and cooking fish. They lived in small huts made from bark and wood from the trees. They made all of their tools from stone and wood. With these tools they caught all of the food they needed. Life depended on the seasonal availability of different plants and animals. The foreshores and creeks provided ideal places to fish and hunt for seafood and salt water plants. The creeks also provided drinking water, encouraged animals to the area and nourished other plants and trees, supplied ingredients for medicine and painting, materials for clothing and implements for activities such as hunting and aids for carrying babies. These were found locally or traded with neighbouring tribes. They had a great respect for the land and all of the animals. The Boon Wurrung / Bunurong people are still here, looking after the land and their families. 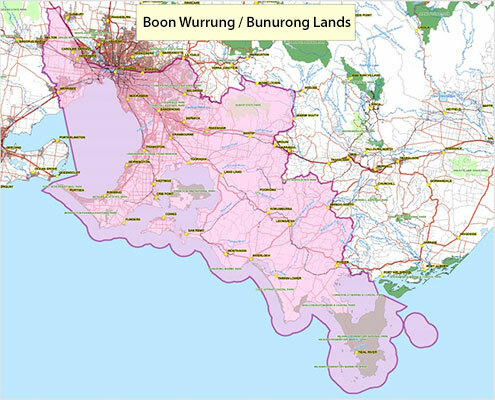 The Scuba Doctor acknowledges the Boon Wurrung / Bunurong people(PDF, 2MB) as the traditional custodians of these lands and waters, and pays respect to Elders past and present.